I have a lot of body fat. You can tell, just from looking at me. (Hint: Its how we know we're different.) After reading about Greta over at Big Bottom Blogger and her struggle with losing the weight, and why it came back on (a startling read- go there now!) I wondered what my body fat percentage was. I know I've mentioned here before that I've always been a passively active person. I ride the bus everywhere, so I have to get some walking in every day, no matter what. I stretch/basic yoga poses, multiple times a day, or my back can't move. These are things I've done my whole life. Occasionally I'll throw in some crunches, or some squats, or some Tae Bo (I miss Billy Blanks. What is he doing these days, anyway?) I recognize that what little I do is not enough, will never be enough exercise to actively maintain weight loss, or maintain weight lost. But it has kept some lean muscle on me, even when I was doing nothing else good for my body. As a person wrapped up entirely in her computer, I looked up a body fat calculator on line. You have 27.4% body fat. You have 86.9 Pounds of fat and 230.1 Pounds of lean (muscle, bone, body water). 27.4% you say? I scoffed, and knew then that there was no way I was going to get a correct or reasonable answer online. Knowing this, I found a few other websites. Entering the same information (some required more or less), I got results from three other websites. Using your measurements of a 51 inches waist and weight of 317 pounds your body fat percentage is estimated to be 59.41 % using the U.S. Navy body fat formula, or 36.97 % using the formula developed by the YMCA. With differentiations like these, its a wonder anyone knows anything that's going on with their bodies! 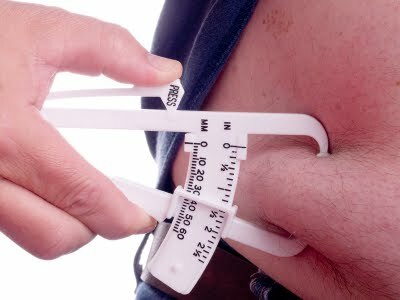 I know of course there are other ways of measuring your body fat. Certainly more accurate ones that involve pinching and electroids, but I was curious now, and don't have any other resource at this point. To those who may be following along with me on day four of my epic weight loss/awareness journey, how do you measure your body fat? Disclosure: You'll notice on the last website I visited it mentions that my waist is 51 inches and I weigh 317 pounds. I have been weighing myself everyday this week, just to see if not binge eating makes any sort of difference, and I can definitively say, yes, not binge eating does make a difference. A very big one, in fact. I have a story about my binge eating, but we'll get to that another day.